Add contemporary outdoor lighting to commercial design with the 12" Domed Shade Gooseneck Light. This funky shade style has a deep bowl silhouette, attached here to a downward stretching gooseneck arm. All parts are commercial-grade aluminum with rust resistant powder coated finishing. Choose from more than 20 attractive color options; 5 available at no additional cost. Standard incandescent gooseneck fixtures can take a 200W maximum bulb and mount to most any standard 4" recessed or octagon J-box. 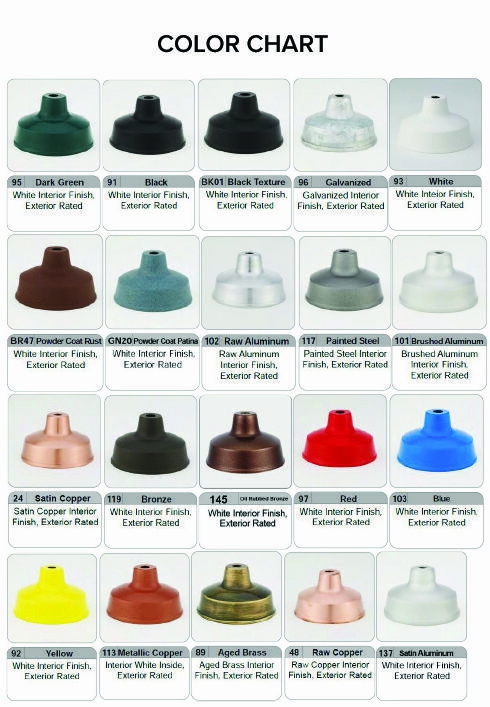 Mounting plates are a 4 5/8"D round and powder coated to match the rest of the fixture. For non-standard lamping like high-intensity discharge (HID), LED and compact fluorescent (CF) options, please call toll free. LED, HID and CF gooseneck lighting may require alternative ballast and mounting. Each gooseneck light is made to order for a successful display of sign and awning lighting every time.